Celebrity Engagement: Dylan McDermott and Maggie Q Are Engaged! 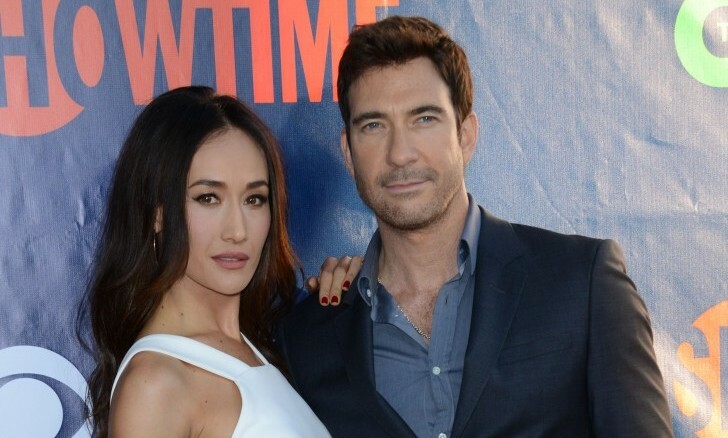 After a whirlwind romance, Dylan McDermott and Maggie Q are engaged! This celebrity engagement is taking the entertainment industry by storm. According to UsMagazine.com, McDermott actually proposed to Maggie Q months ago but only recently presented her with a ring while spending time together during a celebrity getaway to Hawaii. Celebrity engagements are announced all over the tabloids, but the rest of us need to make such an announcement ourselves. What are three creative ways to share that you’re preparing to tie the knot? 1. Take engagement photos: At some point during your engagement, you may want to have special photos taken. It’s always sweet to send them out to your loved ones and post them on social media. Get really creative with it by doing something unique and personalized to who you are as a couple. Use props like chalkboards or wooden signs with your wedding date or monogram on them. 2. Make a clever announcement: During this special moment in your life, you may want to announce your big news in a witty and cute manner. Consider recreating a film poster like Mr. & Mrs. Smith starring Brad Pitt and Angelina Jolie or The Notebook starring former famous couple Ryan Gosling and Rachel McAdams. Or put together a fake tabloid magazine cover using your own pictures. Celebrity engagement announcements will have nothing on you! 3. Use humor: As with any other point in your life, it’s good to have a sense of humor. Think about creating a funny card. There are some that say things like, “Keep Calm. He Put A Ring On It.” Another idea is that you and your partner could write a poem or a jingle together and then perform it for the people you want to tell via video or in person. The key is to be creative and think outside the box. What are some ways you have announced your engagement? Share your creative stories below!